Digital forensics deals with the analysis of artifacts on all types of digital devices. One of the most prevalent analysis techniques performed is that of the registry hives contained in Microsoft Windows operating systems. 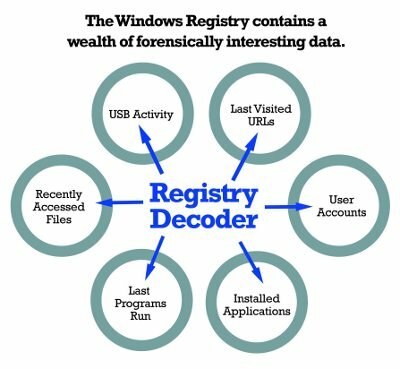 Registry Decoder was developed with the purpose of providing a single tool for the acquisition, analysis, and reporting of registry contents.